The Eye Physicians and Surgeons of Ontario (EPSO) are committed to protecting, maintaining and improving ophthalmic care in Ontario. Through collaboration with eye health partners, we support the creation of resources to help ophthalmologists provide essential care to Ontarians. 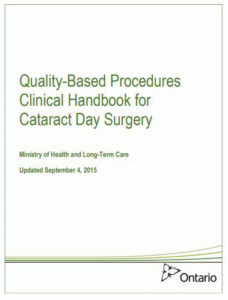 EPSO also works with the Ministry of Health and Long-Term Care (MOHLTC) to develop Quality–Based Procedures (QBPs) and Clinical Handbooks that provide best practice recommendations for patient care and indicators to monitor for ongoing quality improvement. 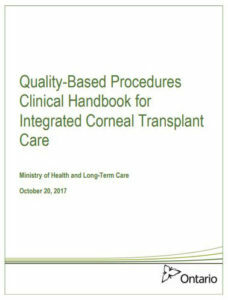 The use of best practices is intended to promote the standardization of care by reducing inappropriate or unexplained variation and ensuring that patients get the right care at the right place and at the right time, which is part of the Patient’s First: Action Plan for Health Care, the Ontario government’s blueprint for the next phase of health care system transformation. EPSO tries to partner with provincial leaders to reduce costs on the health care system by auditing processes and streamlining procedures, and where possible recommending reductions and/or the elimination of certain fee codes. 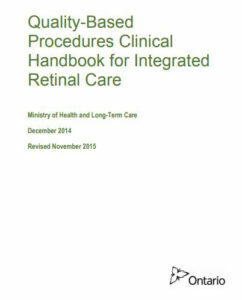 However, EPSO’s recommendations aren’t always implemented but we continue to press forward in an attempt to advance ophthalmic care in our province.